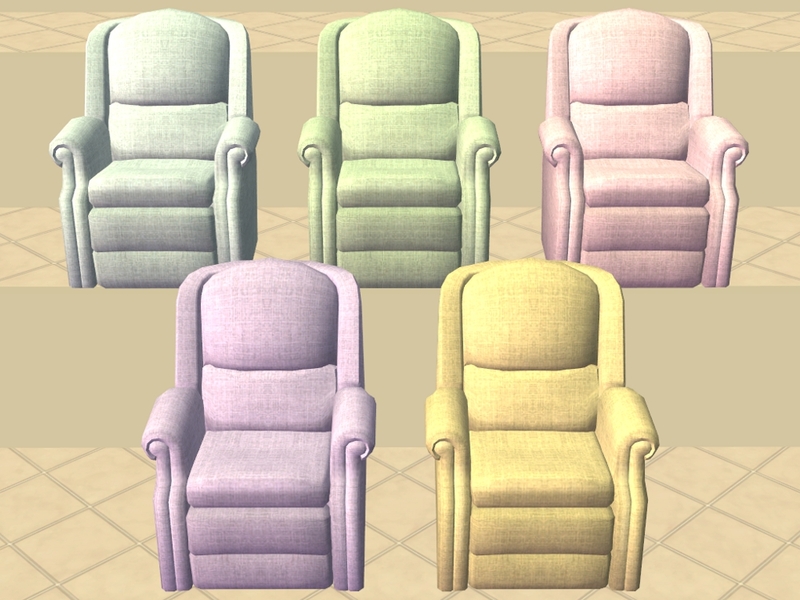 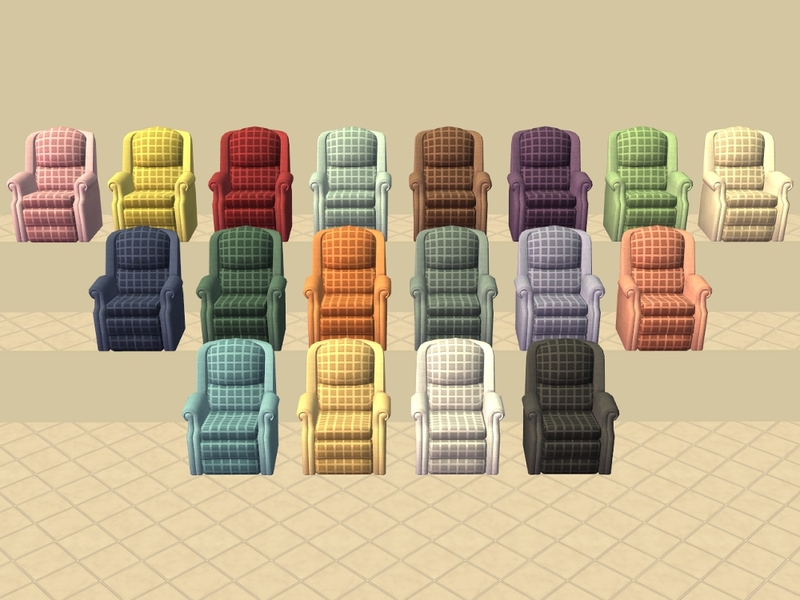 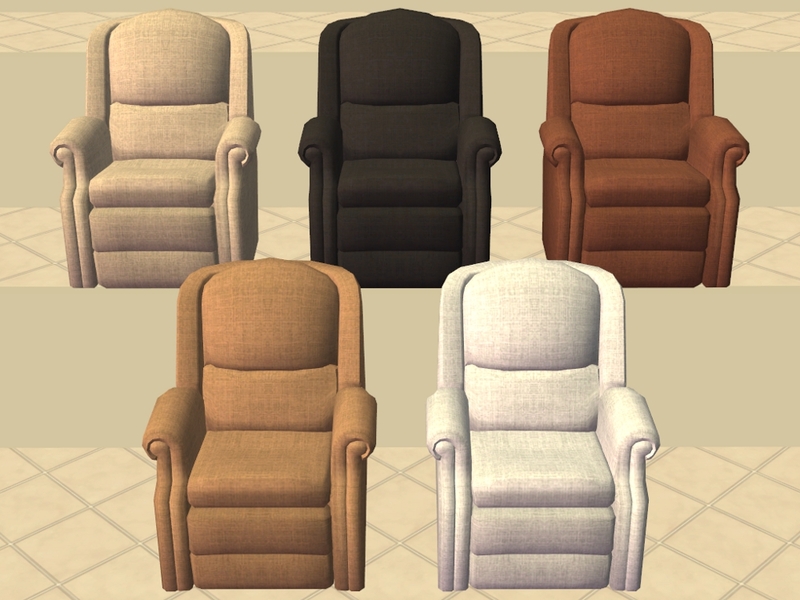 Recolours of the Base Game Way-Back Recliner. 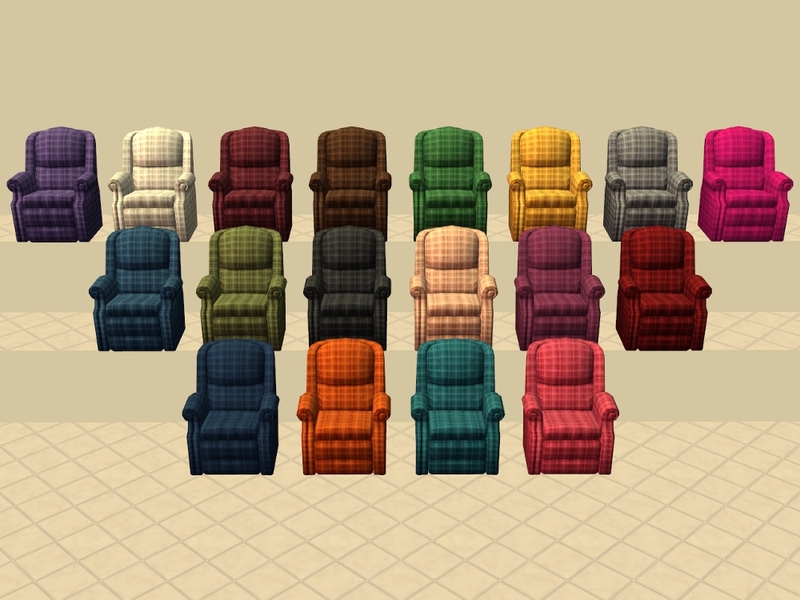 80 in all, 18 Random Plaid, 6 Plain AL wood matching, 10 Plain LACK, 5 Plain MALM wood matching, 5 Plain Pastel, 18 Plain YETI and 18 Square YETI recolours. 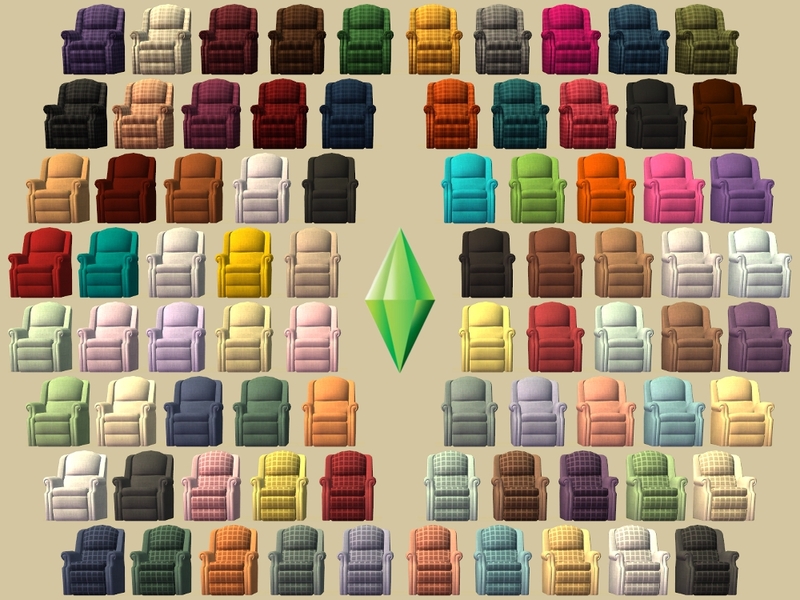 As well as separate zip files, I have also included a zip file with all the recolours in it. 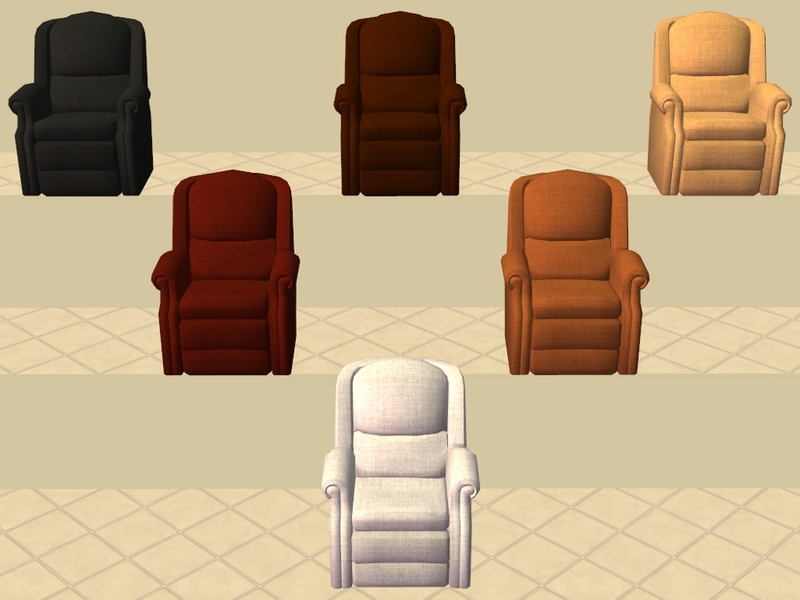 Found: Buy Mode > Comfort > Recliners. 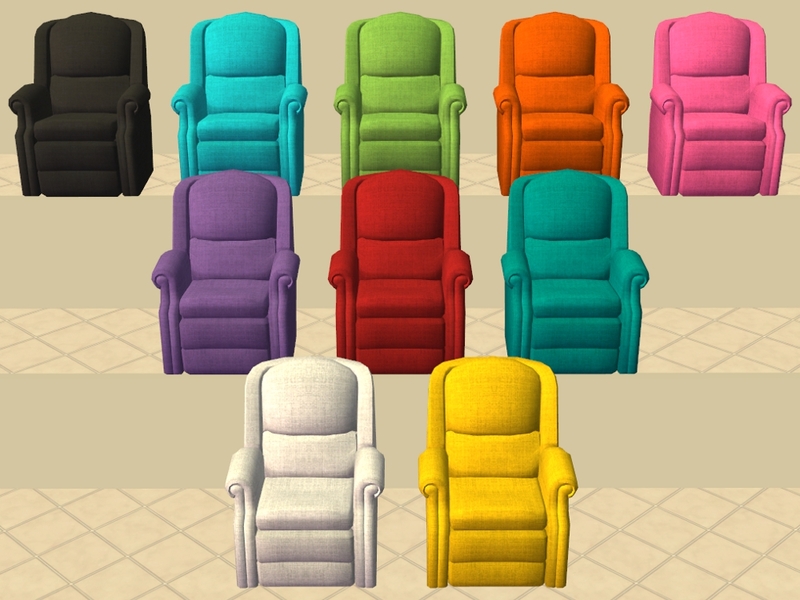 Price: §149. 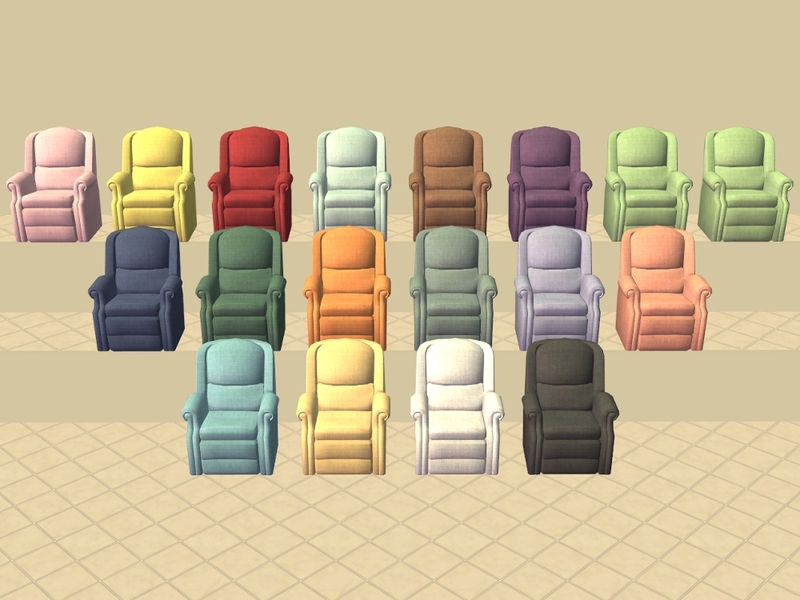 marinka512 for requesting these recolours.